Let’s start off with a silly question: Do you love cartoons, animated films, anime? Of course you do. 2D, 3D, hand drawn or computer generated, doesn’t matter. Cartoons are awesome! More importantly, though – do you dream of a career bringing dynamic, imaginative stories to life through animated media? Do you want to infiltrate the cartoon industry, to invade that special realm where the fantastic overlaps with real life, to tell your stories, create your art, lend your voice? Or are you just interested in the creation process, and want to know more about what it takes to create the animated worlds you love? Well then, my friend, as luck – and probably carefully worded search engine algorithms, but let’s go with luck – would have it, you’ve come to the right place. 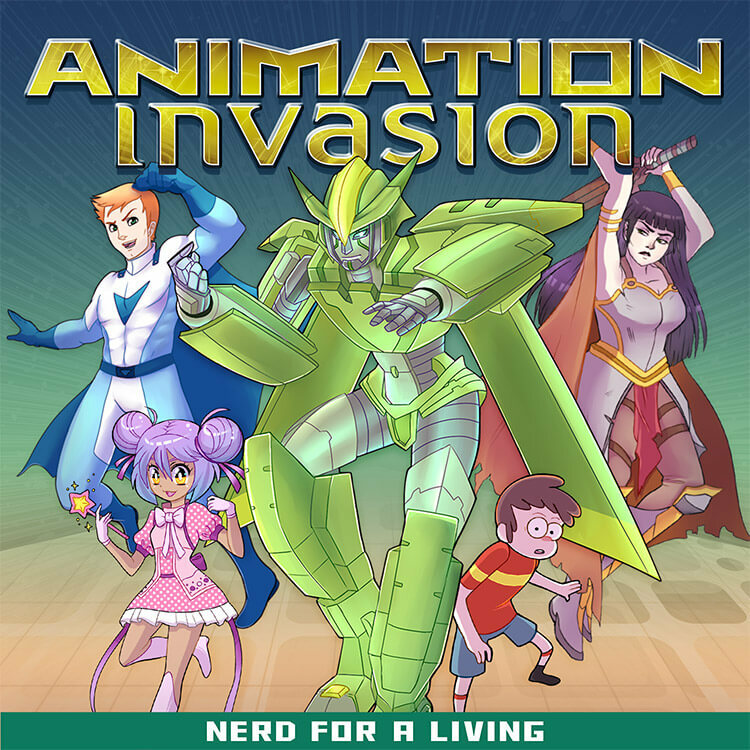 This is Animation Invasion – a podcast about careers in animation, presented by Nerd For A Living, and hosted by Adron Buske. On this show, we will explore the animation industry through conversations with professionals in the field. We’ll interview producers, artists, voice actors, directors, and more to bring you an inside look into careers in cartoons. Whether you’re interested in shows for kids of all ages, or mature-themed programming for adults, or anything in-between, Animation Invasion gives you access to the knowledge and experiences of the pros. And, along the way, we get to geek out together about characters, stories, and properties that excite and inspire us. To get started, we’re including in this feed a couple of previous Nerd For A Living animation episodes we think you’ll enjoy. The first is with Sarah Marino, an animation artist who worked on The Book of Life and Nickelodeon’s Shimmer & Shine. It’s a super fun interview, and Sarah’s passion for the world of animation is obvious and contagious. Next up is our conversation with voice actor Linda Ballantyne, whose body of work is extensive, but she’s probably best known to fans of cartoons and anime as the voice of Sailor Moon. Linda is hilarious and her stories from the world of voiceover are fascinating and enlightening. Then we kick off our brand new Animation Invasion episodes with Victoria Ying, a Disney Studios artist who worked on Moana, Big Hero Six, Tangled, Wreck-It Ralph, and Frozen. She also teaches art and animation online and in universities. 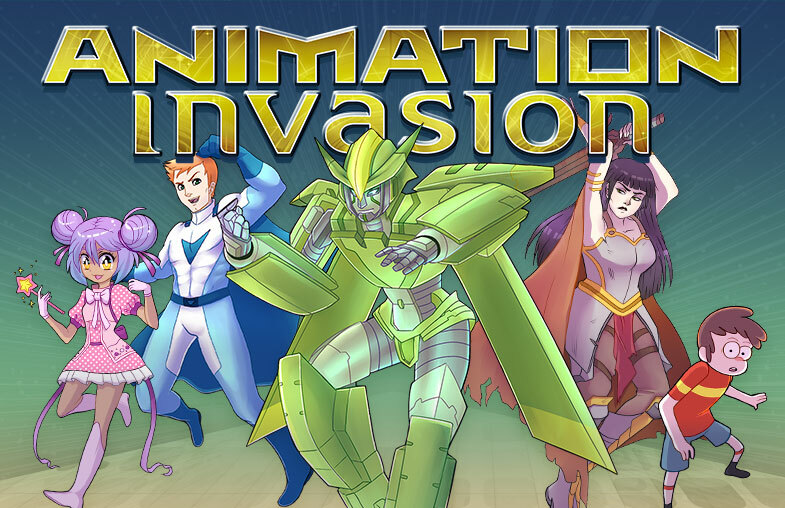 Animation Invasion is available on Apple Podcasts, Google Play, and many other apps and services. Please subscribe to continue getting interviews with awesome creators, and rate and review the show. Those things really do have a big effect on how people discover the show and help us keep bringing you quality content, so we really appreciate your feedback.